DAVID LE/Staff photo. 3/14/15. 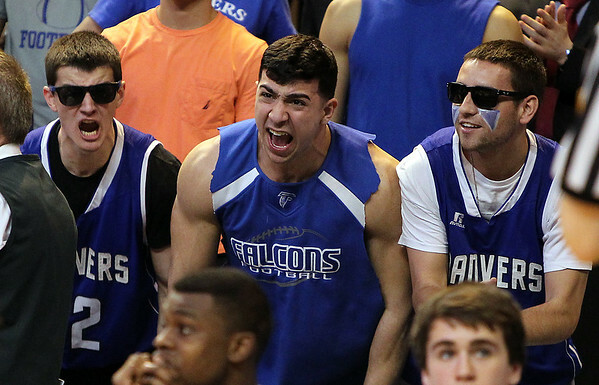 Danvers juniors Patrick Cunningham, and Marco LaGambina, left, and senior Trevor Chasse, right, cheer on the Falcons in the D2 State Championship.